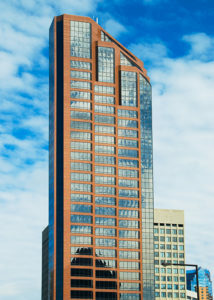 Wells Fargo Place, formerly known as the Minnesota World Trade Center, is a 36-story office tower and retail complex with 3 levels of below-grade parking, occupying an entire block in downtown St. Paul. 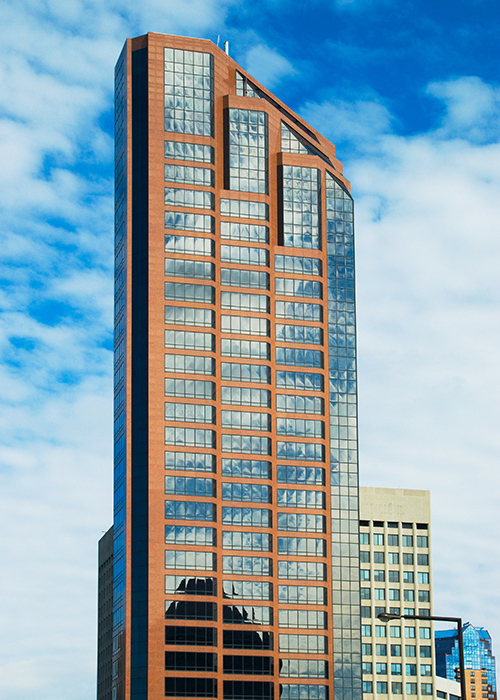 The structural engineering design team included Quinn Dressel Associates, structural engineers of Toronto, Ontario, who performed preliminary system analysis, and MBJ, who prepared all final structural design and construction documents and performed all field observation services for the project. The tower is framed with cast-in-place concrete. All reinforcing steel is conventional mild steel. Lateral bracing consists of concrete core shear walls.